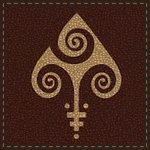 New pack of playing cards from Lotrek (The Halfmoon Playing Cards). The designer of Timeless and Bicycle Butterflies Playing Cards, the creator and producer of Grotesque, Bicycle Venexiana, Venexiana Gold and Venexiana Dark decks decided to pay his attention to a different artistic style that flourished in Europe or influenced European Art. The deck inspired by the incredible splendor of the Byzantine Empire (c.330 A.D – 1453 A.D) and its heritage. Traditional courts will remain their traditional shticks, but will be translated into the Byzantine art style. 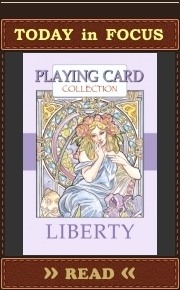 This deck is one of three decks in the series. 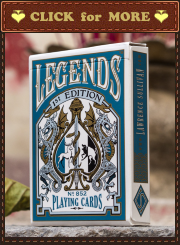 It is the most luxurious one: a) amazing custom art; b) its tuck case will be velvet, and you will find hot stamped gold foil inside it; c) all card backs will have both Gold and Silver hot stamped foil on them. Bicycle Nouveau deck is inspired by the historical and mythological heroes and heroines traditionally featured in the French playing cards since the 16th century. As for the art style and design, Bona Fide Playing Cards wanted to pay tribute to the philosophical and artistic trend Art Nouveau, promoted and popularized in France and contemporary to the birth of the first Bicycle Playing Cards in the late 19th century. The deck was planned to be printed by the United States Playing Card Company (USPCC). “Kickstarter: Delirium Playing Cards by Thirdway Industries” is updated #2. Last hours on Kickstarter. All courts have been revealed. “Kickstarter: Uusi Classic Playing Cards” is updated.